Pediatric Functional Medicine with Dr. Elisa Song - Robin Green Acupuncture, Inc. 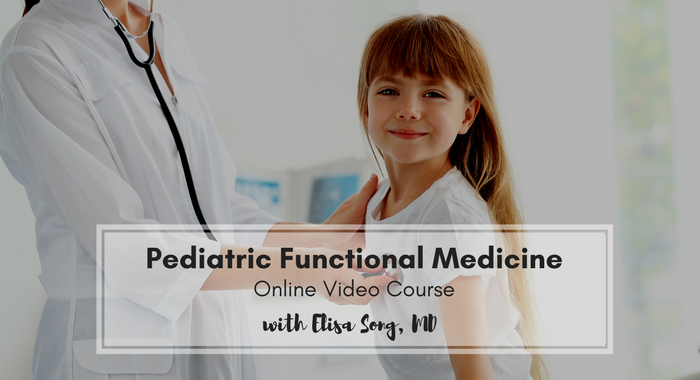 Thanks for your interest in Pediatric Functional Medicine with Dr. Elisa Song. We'll automatically e-mail you, after purchase, your access information to the online classroom where you can watch the video presentations. You'll also have access to the links to take your quiz and get your CEU's. Please note if you selected the payment plan, your CEU certificate will not be issued until we've received your final payment. Does your licensing allow you to order lab tests? Do you feel like you need more Western medicine training? If so, on what topics? Refunds are given at the sole discretion of Robin Green Acupuncture, Inc. and may be requested within 14 days of registration for this course. After that period no refunds will be given.